Rodents carry and transmit various diseases including leptospirosis, lymphocytic choriomeningitis (LCMV), and salmonellosis. Rodents are also notorious eaters and will nibble on anything: food, walls, sidings, clothes, furniture, and wires. When electrical wires are torn and exposed, they can become fire hazards. As such, if your home is harbouring a few (or even a lot of) mice or rats and you are not successful in catching them with the traps you’ve bought, don’t hesitate to invest in professional pest control. SA homeowners always rely on this service to keep their home protected from these dangerous rodents. Place food such as chips, nuts, cereals, bread and other products that are not in jars or cans in containers that can be sealed properly. You can also store them in the fridge. By doing so, you will remove your pests’ sources of food. You will get rid of clutter that can impede the technicians’ work as well. The pest control technicians will check the upper and lower cabinets in your kitchen. You can help them do this task faster by removing the items you stashed in these cabinets. In addition, the pantry items you may have such as chips, cereals and bread are typical rodent bait. Mice and rats will easily chew right through their plastic bags. As such, throw them out or store them in more durable sealable containers. The top of your fridge and space under your kitchen sink are favorite hunting grounds of mice and rats. Make sure you remove all items found in these places so that the technicians will have easy access to these areas. If the pest control technicians will still inspect your home, move the pieces of furniture slightly away from the walls for faster and easier assessment. Throw away all boxes and containers you don’t need, including their content. Rodents love carton boxes, newspaper, magazines, old clothing and beddings and other old items you have lying around in your home. They will eat these items, turn them into their nests, and even breed in these clutters especially if they remain undisturbed. Your pesky, unwanted tenants came from outside. As such, help the technicians inspect and carry out rodent control on your lawn faster by cleaning this area before they arrive. Remove all clutter from your lawn. Get rid of piles of grass and leaves since rodents love to nest in these areas as well. It is also crucial to keep your gutters clean since rodents can also turn these fixtures into their nests. If there are tree branches near the gutters, mice and rats can use them as bridges to enter your roof. Aside from maintaining and cleaning your gutters, ensure your trees are properly trimmed regularly, too. If the pest control experts have not inspected your home yet, take the time to discuss the situation with them once they arrive. Show them the areas where you frequently see the rodents eating or running around. Make sure they inspect and place the traps and baits in these places. Do not touch or disturb the traps and baits during or after the pest control treatment. Once they’re done, remember to get a service plan from the technicians. This will ensure you will keep rodents away from your home. 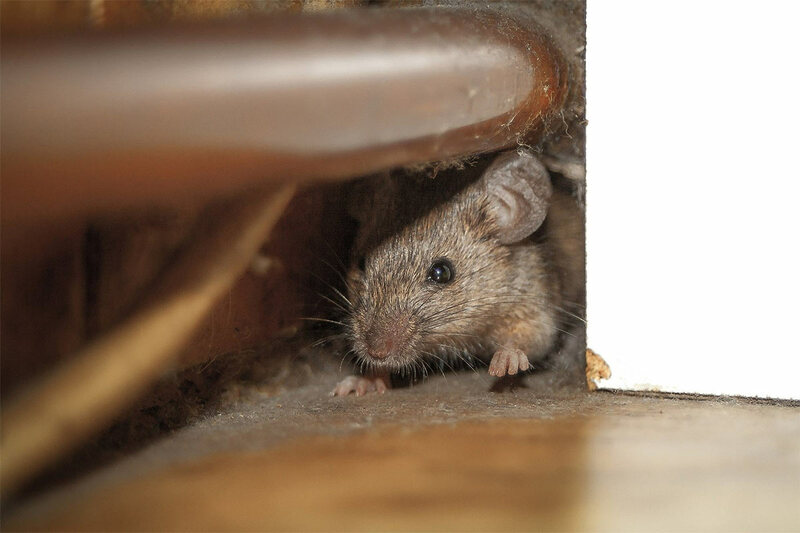 To keep your home rodent-free, follow the recommendations of your pest control operators. They will advise you to repair or seal holes in the walls, around baseboards, and on the roof. If you have doors that don’t seal properly, have them fixed immediately, too. Lastly, for continuous control, always keep your home clean and tidy. Sweep or vacuum daily to avoid leaving crumbs and food debris on the floor. Take out your rubbish regularly and make sure your rubbish bins have lids that close securely.